Celebrating the 50th Anniversary of Gay Pride events. Years before the first Gay Pride Parade, gay rights activists gathered outsole Independence Hall in Philadelphia on July 4, 1965 for the first ever LGBT picket. They carried signs demanding legislation that would secure the rights of LGBT Americans, a battle that continues today. 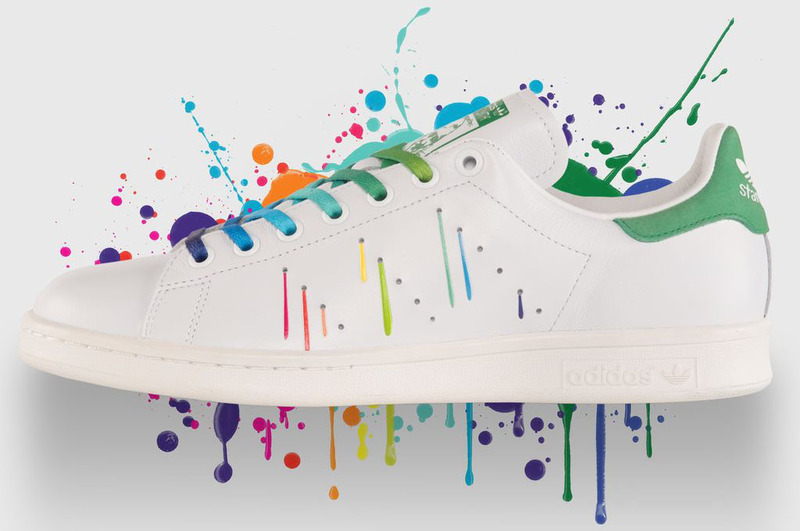 The same year, adidas named its flagship tennis shoe the “Robert Haillet” after the French tennis pro. 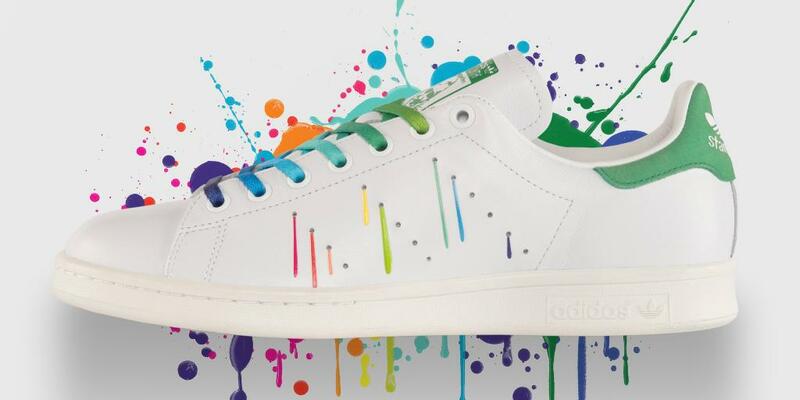 That shoe, of course, went on to become the Stan Smith following Haillet’s retirement from the game. 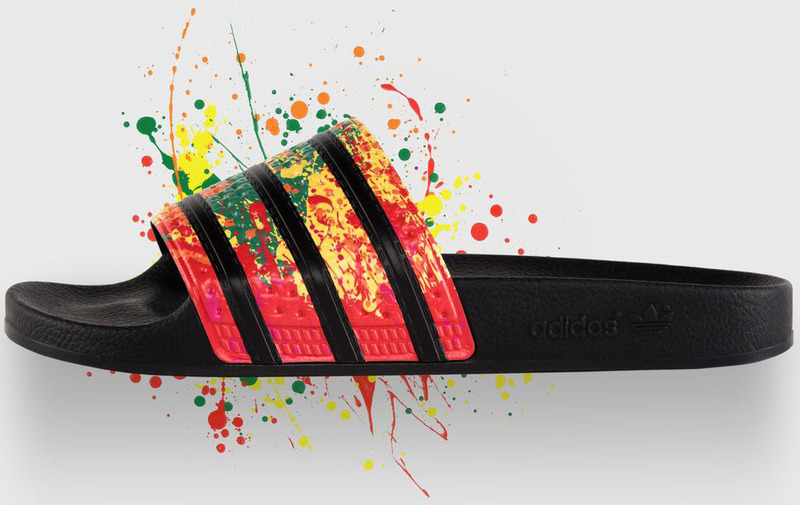 It’s now the best selling adidas sneaker of all-time. 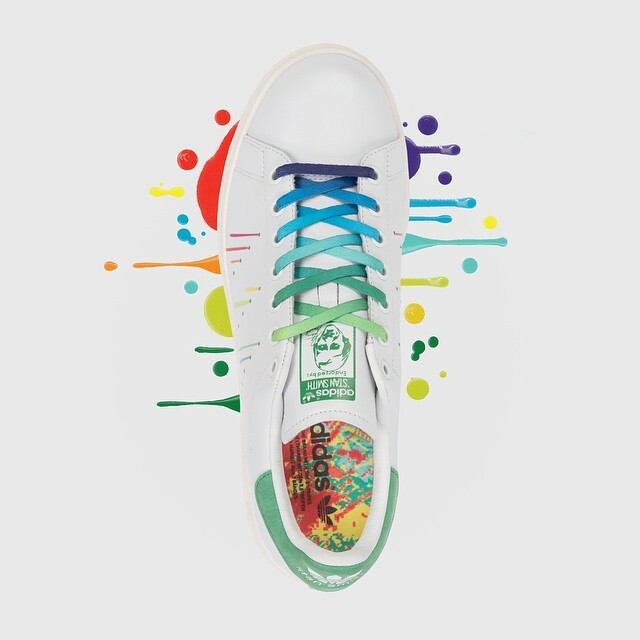 Bringing these two events together and celebrating the 50th Anniversary of Gay Pride events, adidas introduces the Stan Smith as part of the ‘Pride Pack.’ The shoe features rainbow paint drips along its perforated sidewalls, multicolor patterned insoles and rainbow gradient laces. 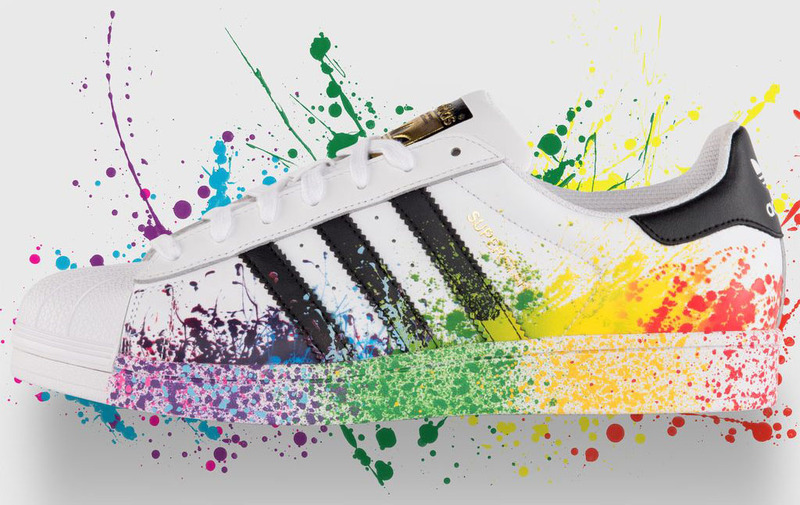 A release date hasn’t been announced, but the drop could coincide with nationwide pride events that generally occur in June. 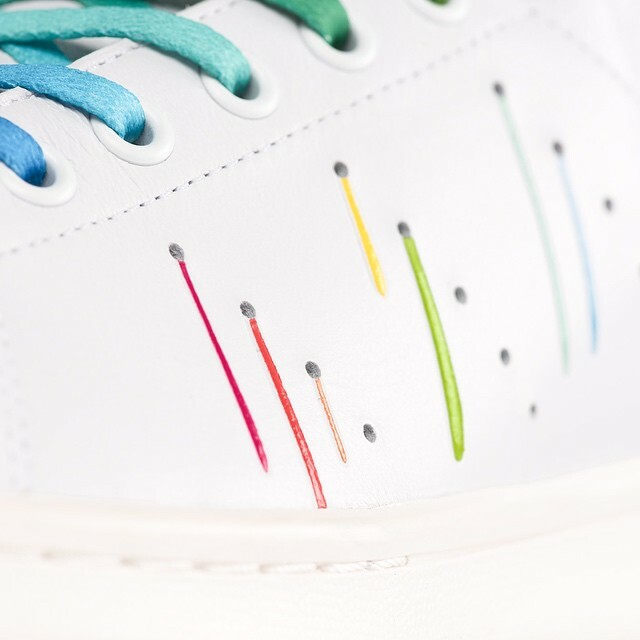 UPDATE 6/6: The Pride Pack, which includes the Stan Smith, Superstar and an adilette slide, is available now at adidas.com. A portion of the proceeds from sales are being donated to New Avenues for Youth.